A mildly elevated level of stock in Sydney and Melbourne was not enough to satisfy cashed-up buyers, as the usually quiet months of January and February kicked off with strong clearance rates. The clearance rate in Sydney hit 84.8 per cent while Melbourne’s rate reached 75.4 per cent, according to Corelogic’s preliminary tally. Domain’s numbers were similar at 84 per cent for Sydney and 79 per cent for Melbourne. A higher number of listings – 633 auctions in Sydney from 513 last year and 542 in Melbourne – were mostly older listings that carried over from late last year, agents said. Many of the buyers chasing auction stock were owner-occupiers. “Despite the surge in the number of auctions held, the combined capitals region recorded a preliminary auction clearance rate of 76.6 per cent, up from last week, when the final clearance rate dipped to 68.7 per cent … suggesting that vendors are still very much in the driver’s seat across these markets,” Corelogic said. 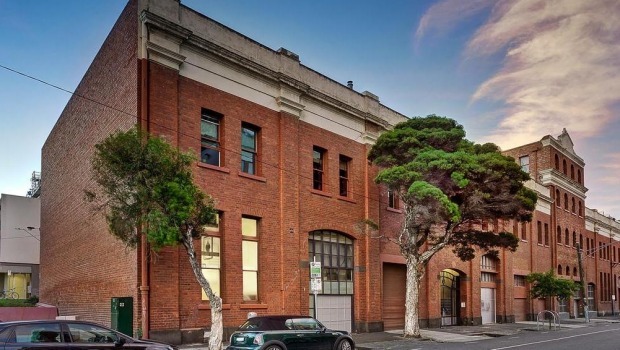 Steady goes it: Collingwood warehouse conversion two-bedder sold for $1.23 million. In Sydney, buyers left empty-handed at the close of the auction season last year were snapping up unrenovated houses or properties without nearby amenities such as train stations at record prices. A 634-square metre, three-bedroom unrenovated original 1930s home at 5 Amaroo Avenue, Strathfield with no convenient public transport services sold for $2.3 million on Saturday, through Richardson & Wrench’s Paul Galassi. The home, 3 kilometres from Strathfield station, sold for $700,000 eight years ago. “There is no snobbery any more,” R&W chief auctioneer Peter Baldwin said. 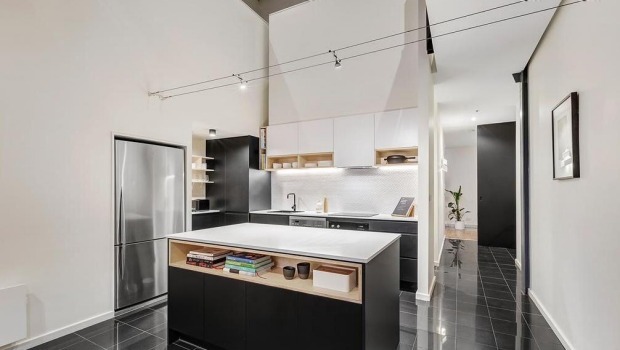 Another property, a 491-square metre three bedroom house at 22A Terry Road in Denistone in Sydney’s north-west, sold on Saturday for $1.551 million against a reserve price of $1.25 million. R&W’s Conor Arnold handled the sale. This converted warehouse at 1/79 Oxford Street was bought by a young couple to live in. It was a similar story in Roseville where a Chinese-Australian buyer snapped up a partially renovated 900-square metre, four-bedroom 1920s home at the busy intersection of 5 Archbold Road, Roseville in Sydney’s north shore for $2.51 million. Belle Property’s James Bennett said the sellers bought it for $1.235 million in 2013. The property’s drawcard was its proximity to schools. Forty groups inspected the home. Mr Bennett also lamented low stock levels, down 30 per cent last year and yet to improve, particularly in blue-chip suburbs. McGrath’s Nigel Mukhi, who sold a three-bedroom sub-penthouse at 2202/2 Dind Street in Milsons Point with Harbour Bridge views for $3.775 million at the weekend, said the lack of stock pushed the sale close to $775,000 above the reserve price. In the inner-west suburb of Leichhardt, buyers were so “desperate” they queued in 39 degree heat on Saturday to view a three-bedroom property at 81 Francis Street. “We have seen a spike in [buyers] in January. In two weekends of auction, there were overzealous buyers,” R&W’s Santos Sulfaro said. Melbourne, the other big auction market, was buoyant but calmer. The appetite for inner-city properties in areas like Collingwood remained strong reflecting the popular adage of “good quality properties sell well”, Jellis Craig’s Simon Shrimpton said. Mr Shrimpton sold a two-bedroom home converted from a warehouse at 1/79 Oxford Street at the top price of $1.23 million. There were 123 inspections and a young couple bought it to live in. “I certainly don’t have problems finding buyers,” he said. The next phase of this chronic shortage of listings would be “speculative vendors” pushing prices even higher, R&W’s Mr Baldwin said. “Vendors will be saying ‘Mesmerise me’,” he said.